My feelings on the third Test are split. As an ex-coach of the team I want to see England retain the Ashes. But a draw would surely be the better result for the sport. It is crucial for the health of Test cricket that this series holds the interest of the public. In Australia the television audiences have been dropping. 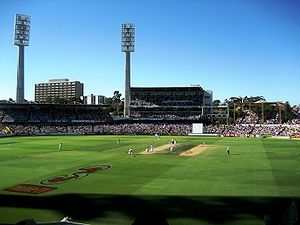 Over a million Australians watched their team on TV on the Saturday of the first Test at Brisbane. Eight days later, on the Sunday at Adelaide, the viewing figures had dropped down to 655,000. Attendances at the grounds are down too. Only 7,088 people paid to watch the fifth day of the first Test. I hear the first two days at the Waca are sold out, but if Australia are utterly outplayed again then fans will start to turn away.